Identiv’s NFC Tag Starter Kit includes 25 (five of each type) near field communication (NFC) tags with NXP NFC Forum Type 2/4/5 NTAG® and ICODE® tag ICs, compatible with Android® and Apple® iOS 11 devices, plus an optional uTrust 3700 F smart card reader. Discover the endless possibilities of NFC. Whether you’re a developer, or brand-new to NFC, join the revolution. The NFC Tag Starter Kit was built for the creative minds that will revolutionize the connected Internet of Things (IoT) and to give the masses the tools to discover NFC technology on their own. With NFC, products are smarter, more interactive, and more traceable — they can talk to each other and to smart devices — which means a more trustworthy world for consumers, creators, brands, and businesses. With NFC tech now also supported by the latest generation of Apple iOS 11-enabled devices, Identiv offers up high-performance NFC inlays and tags for a vast variety use cases, including consumer electronics, smart home, supply chain management, fashion, retail, cosmetics, pharmaceuticals, gaming, and toys. Supporting a wide variety of features and security levels for different application requirements, all tags are equally compatible with Android and Apple iOS devices, including tablets and mobile phones. 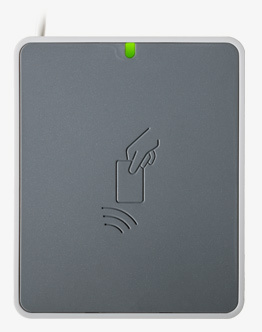 The kits are also available with an optional Identiv contactless smart card reader, uTrust 3700 F. When connected to a Mac or PC, the reader can use the NXP TagXplorer app to reprogram tags.